One of the most popular renovations in a home is done to the kitchen. Everyone wants a beautiful kitchen in their house. They say it is the heart of the home. Its where your family gathers for dinner, where they head to before they start the day and when you are hosting a party the kitchen tends to turn into the social gathering area no matter what. So why not have an updated, welcoming kitchen of your choice. Kitchen renovations can be very and I mean very costly. Most people can’t renovate their kitchen without breaking the bank. 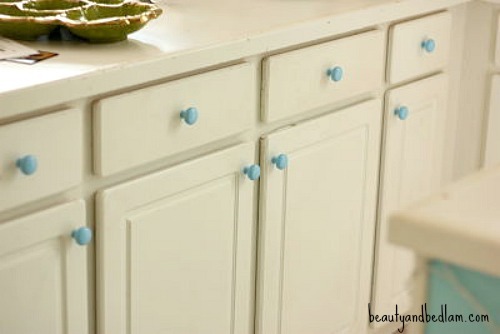 I have provided some tips on how to update your kitchen easily and for cheap. Its been said over and over again and will continue to be said over and over again. 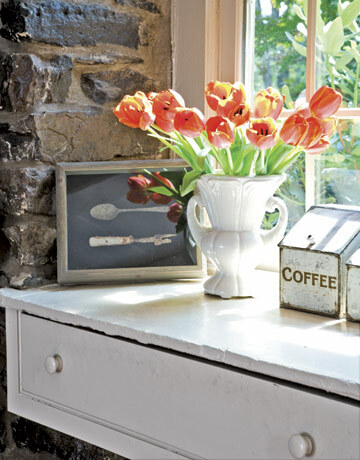 Paint is the most inexpensive and easiest way to ultimately update any space. 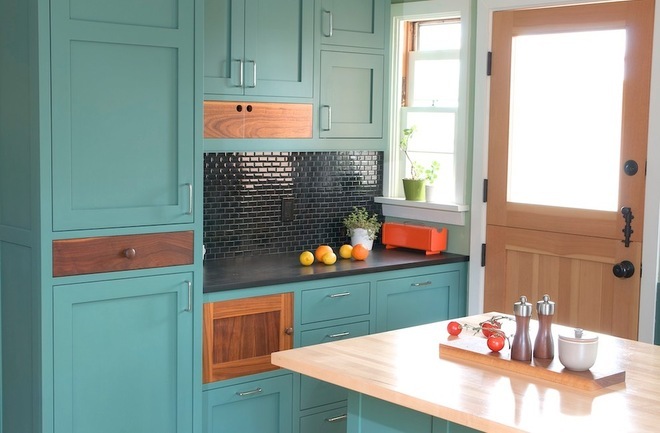 When thinking about changing your kitchen consider how you could change it by using paint. Its such a versatile thing. 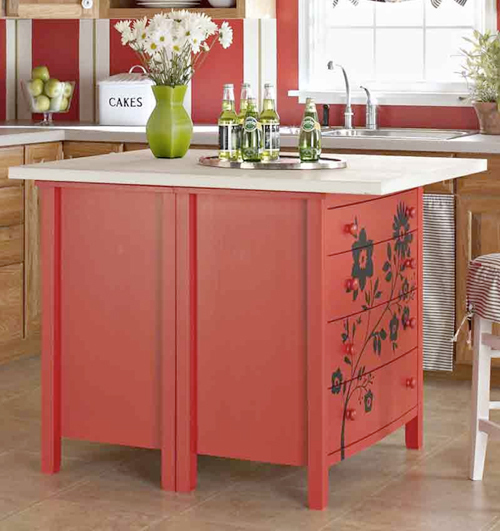 If you have neutral walls add a pop of color by painting the cabinets. You can also paint the doors a different color to add contrast between the two. Another option is removing the doors all together allowing you to see into the cabinets. 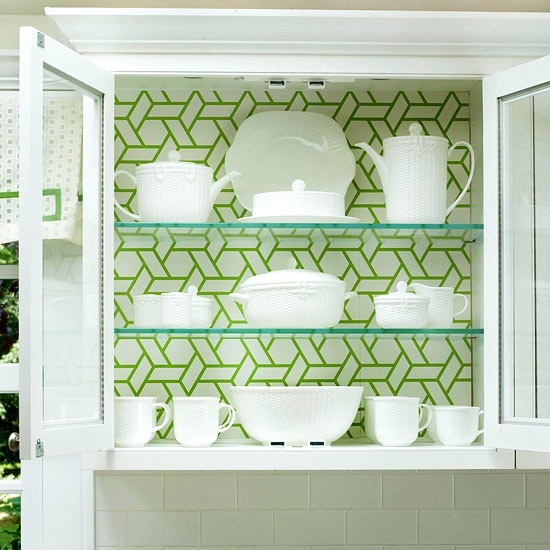 It creates a more modern approach and may make your kitchen space feel more open. If you do chose that, you can then paint the inside the same color or go with a totally different one. And finally, if you’re tired of your countertops yet can’t afford to change them, paint and seal them. It’s that simple, I promise! The great thing about wallpaper is that it can be used for more purposes than covering a wall. 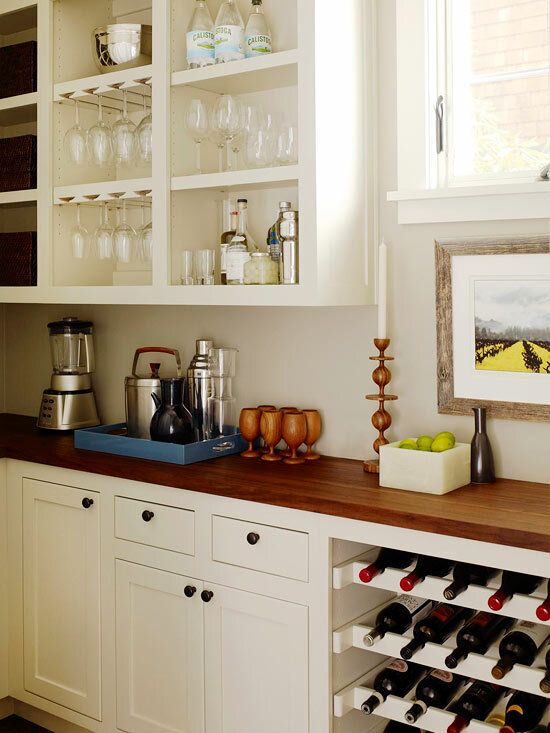 Find an awesome print (preferably one that can be removed) and lay that down in your drawers or inside the cabinets especially if you decide to open up the cabinets by removing the doors. You can create a very trendy look by doing this.. and if its removable you can switch it up whenever you want! Everyone wants an island but not everyone can afford to install one. When your pockets can’t bare to spend that much, hit the streets and head over to some vintage and thrift stores. 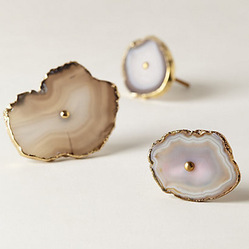 Look for unconventional items that can be used as an island. Use a dresser, a high table, a bar, whatever you can find. 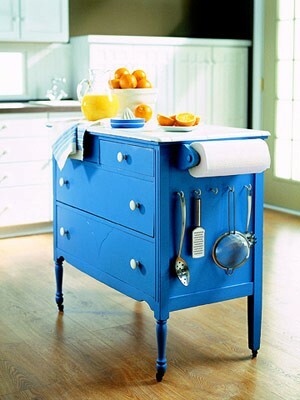 Do a little DIY to it and voila, a cheap kitchen island that will add character. And finally, adding fresh plants and flowers will do wonders. 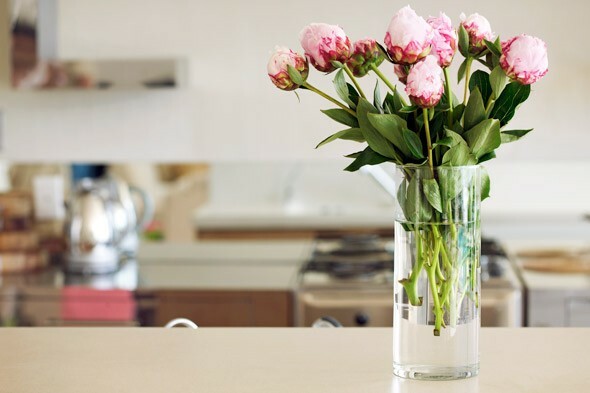 It will bring the outside in and make your newly updated kitchen more lively and fresh. Hashtag #ohmydecor on instagram if you decide to do a mini-reno on your kitchen. Happy updating!